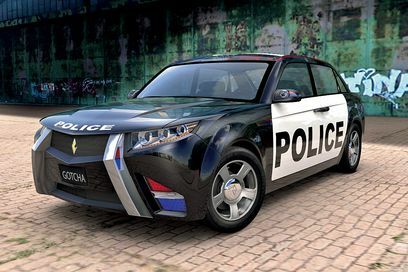 BMW recently signed a deal to give turbocharged diesel engines to Carbon Motor Corp. for their latest police automobile. Signed on March 22nd, 2010, the deal will provide over 240,000 engines to the law enforcement automobile manufacturer. In the deal, the engines will have automatic transmissions, a cooling system, and the ability to have exhaust gas recirculation. The engines are BMW’s 3.0 liter inline six turbodiesel. Used in the X5, the engine produces 245 horsepower and 425 pounds-feet of torque, giving the police car a great balance of power and speed. In the X5, the engine provides a 0-60 of 6.9 seconds and a top speed of 130 mph. The car Carbon will put BMW’s engine in is the E7, which will be available only to police agencies. The E7 will be built from an aluminum superframe capable of taking a rear-end collision at 75 mph. Built to last at least 250,000 miles, the E7 will reach a top speed of over 150 mph and will boast a 0-60 time of 6.5 seconds. The car will also achieve a fuel economy of 28 to 30 mpg, which is why the engines are diesel. Set to launch in 2012, 12,500 cars have already been reserved by agencies around the world.